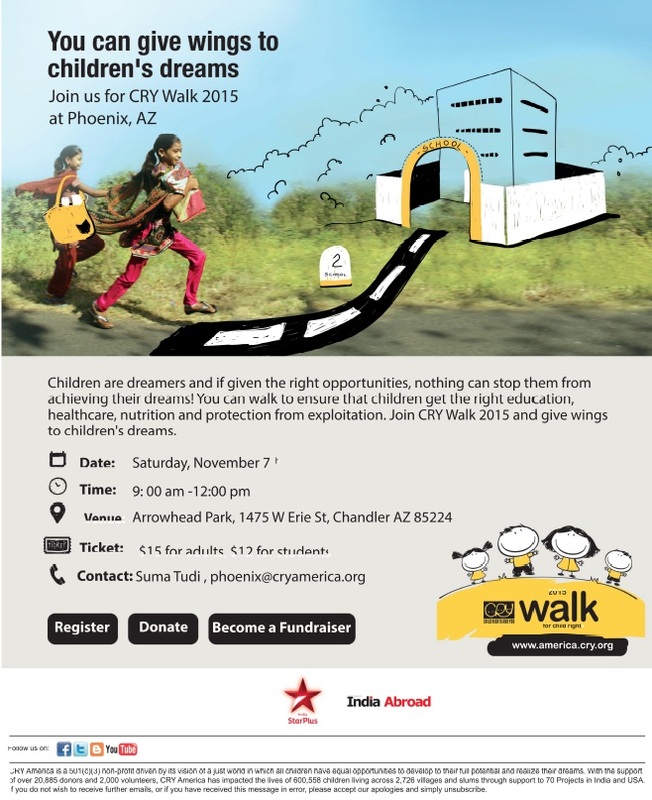 Pooja Yedavelli and Suman Challagulla from CRY America Phoenix Chapter talk to us about the event taking place on November 7, 2015. We always want to give back to society and keep looking for ways to do so..Well, there are some people who do it actually..Percy,Walk Lead,CRY Los Angeles chapter has been associated with CRY for a very long time and has been doing his bit..
One person I loved interviewing ….she sang , she talked, she gave a peep into the film, talked about her co-stars, Shahid Kapoor and Pankaj Kapoor…about the director,…about the songs…and just about everything about the film, Shaandaar Wow! !….you’ll love the conversation.. Meanwhile enjoy my fav song from the film Shaandaar releasing in theaters next to you..or a lil far away…from you on Friday, October 22..
Watch it for sure !! This conversation is brought to you from our archives in association with India’s leading Hindi entertainment channels Star Plus and Life OK –The conversation with Hemlataji was so nice…a legendary singer and yet so humble, so down to earth.. So, we talk about Hemlataji’s childhood days, and how she took up singing as a career..now this is a must listen story..you will enjoy every bit of it..
Hemlataji comes across as a very nice, chirpy person who recounts her singing career which has spanned over decades…She has fond memories of Mohd. Rafi, Mukesh , of Mahendra Kapoor….and you would definitely want to listen in.. In the next hour,with the slight pittar patter of the rain in Mumbai at the backdrop, I was talking to the great legend, someone who has been a part of almost every Indian household, someone who is, nay, was credited of bringing the ghazals to the masses..in a more simpler language…in their own language..
CRY America Volunteers Raj Mamadgi and Ruchika Pandey talk about the CRY walks in the Bay Area and in San Diego respectively. 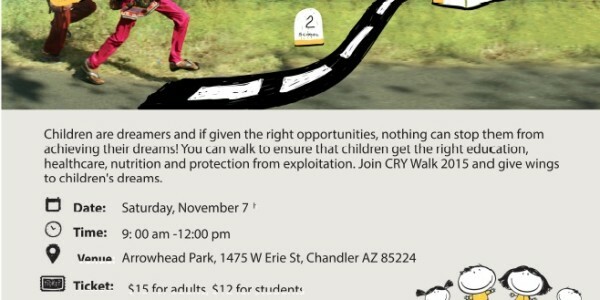 So there are going to be great events with lot of fun and a great cause. 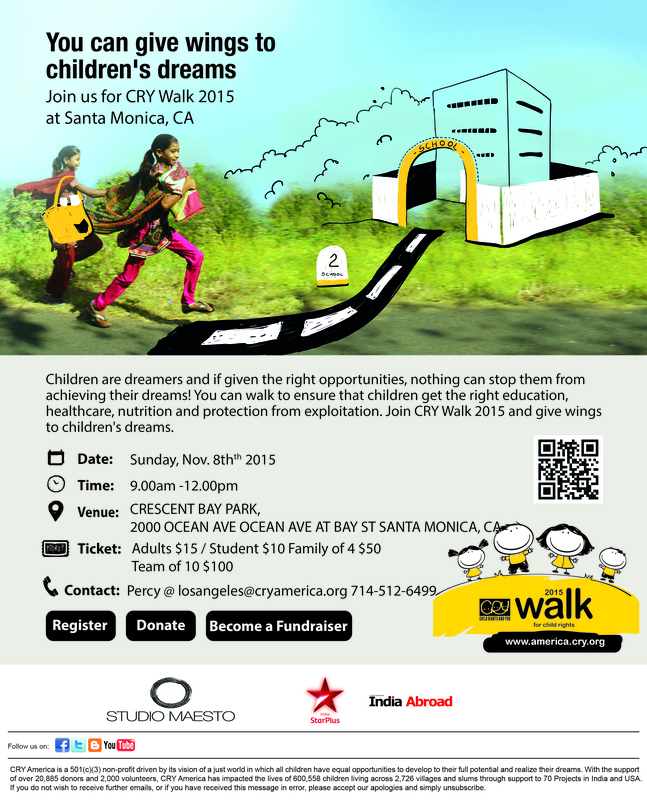 So, mark Sunday October 04 and be a part of CRY and the good work it does. To know more about the events, do join in on our Hindi Radio Show, Chat and Chai, Friday, October 02 at 7 AM, 9 AM, 11 AM, 2PM, 5 PM & 8 PM EST on MerSangeet Gold. This conversation is brought to you from our archives – definitely one I thoroughly enjoyed as Ranjeeta happens to be one of very fav actors. So be sure to join in for the interview, Thursday, 01 October, on our Hindi Radio Show, Chat and Chai at 7 AM, 9 AM, 11 AM, 2PM, 5 PM & 8 PM EST and in the meanwhile do enjoy this beautiful number- touches my heart always ! Prem Chopra talked with ease , as we took a peep into the bygone days , to the Golden Era…an era which I sometimes wonder would not have been as we see it now without the contributions of Prem Chopra Sahaab..
Sayali is in the final year of High School- yes a busy year and yet she takes out time to Volunteer for CRY. We talk to Sayali about the upcoming event . 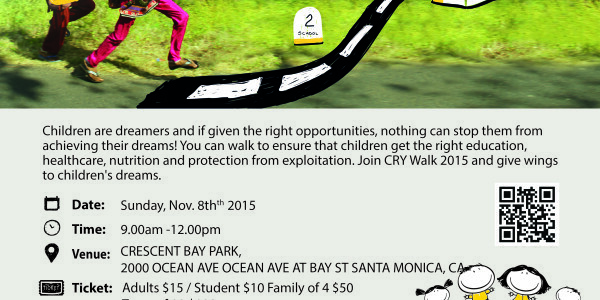 Sayali is Volunteer for CRY Raleigh. If you would like to reach out to Sayli, do write in at kanwal@merasangeet.com or call in at 1-800-471-8987 ext 2. While Imran Khan does talk about the movie “Katti Batti”, his co-star Kangana Ranaut and the film’s Director, Nikhil Advani and his fav songs from the movie, he gives us glimpses from his own life which he shares with his beautiful wife,Avantika…He does draw comparisons between the daily routine of his life and the film in such a beautiful manner that all you do is agree to each bit . It was great to chat with one of India’s finest film directors, Nikhil Advani on his very latest project, “Katti Batti” . The talk revolves around the making of the film, the lovely lead pair- Kangana Ranaut and Imran Khan, the beautiful songs and much more.. Do tune-in then and catch the latest on the film which is in theaters next to you on Sept 18. The conversation on our Hindi Radio Show, Chat and Chai on Tuesday,15 Sept at 10:00 AM,1:00 PM,4:00 PM & 7:00 PM EST with a repeat on Thursday, Sept 17 at 10:00 AM & 4:00 PM EST.